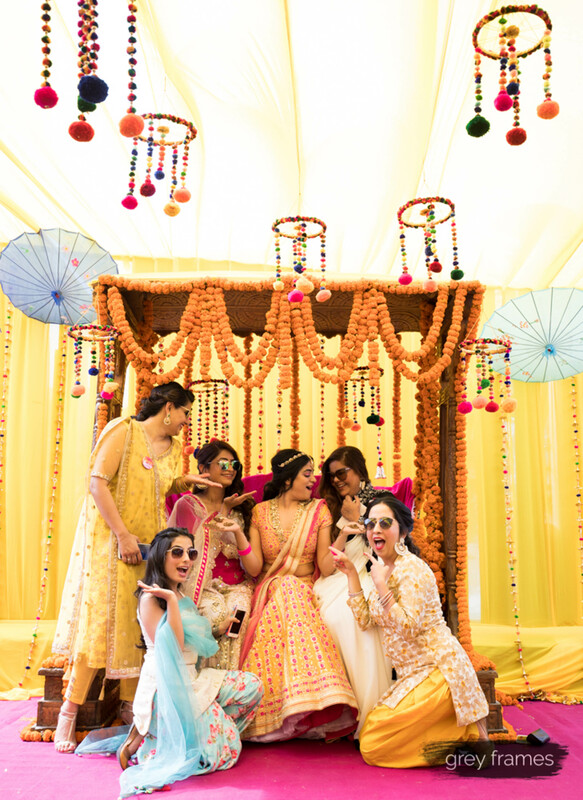 It’s not often you come across a wedding where the bride embraces colour in every aspect of her wedding festivities. 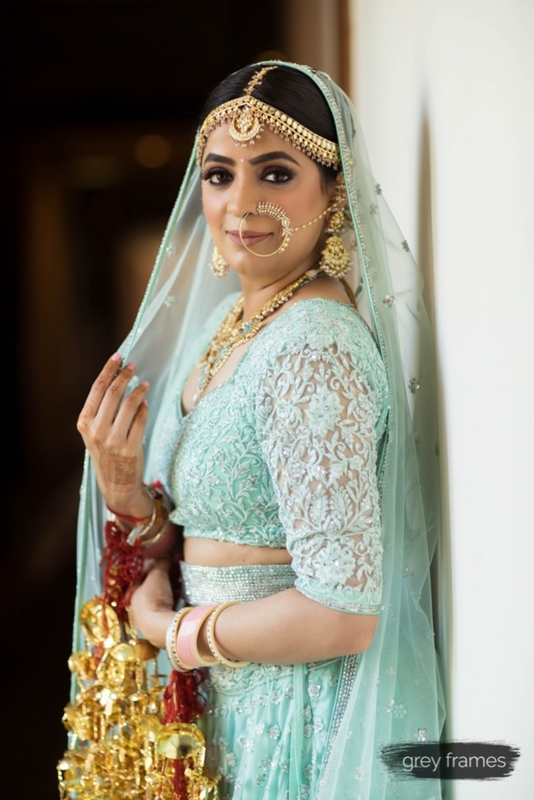 For Delhi makeup artist, Aakriti Kochar, it certainly comes as no surprise that her love for colour goes a long way. 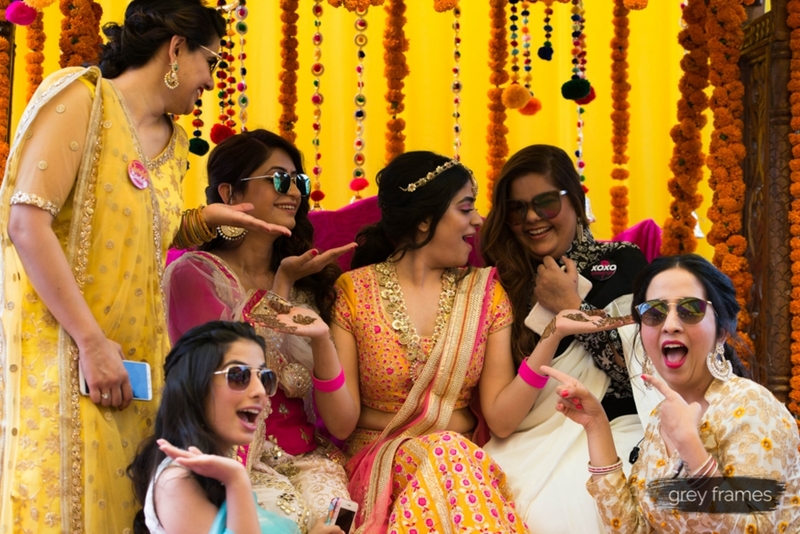 She states that colour brings her joy and when you see her mehndi photographs you will totally see what we are on about. 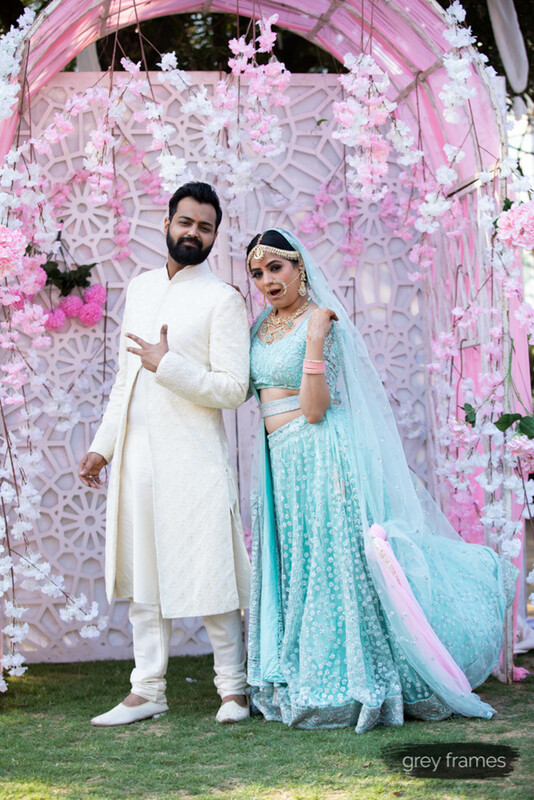 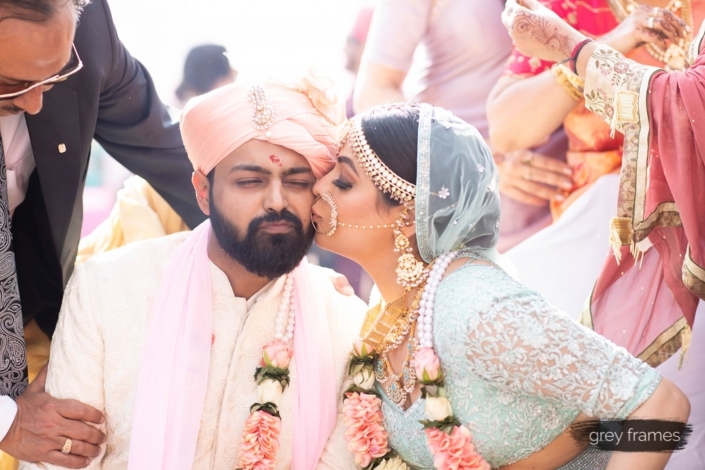 With thanks to bride, Aakriti, her bright and beautiful Delhi wedding fills our feed today as we officially commence Valentine’s week celebrations! 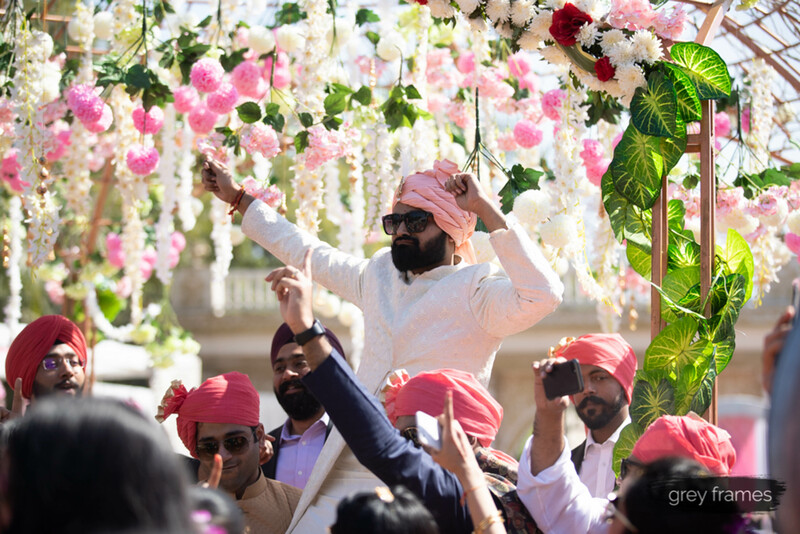 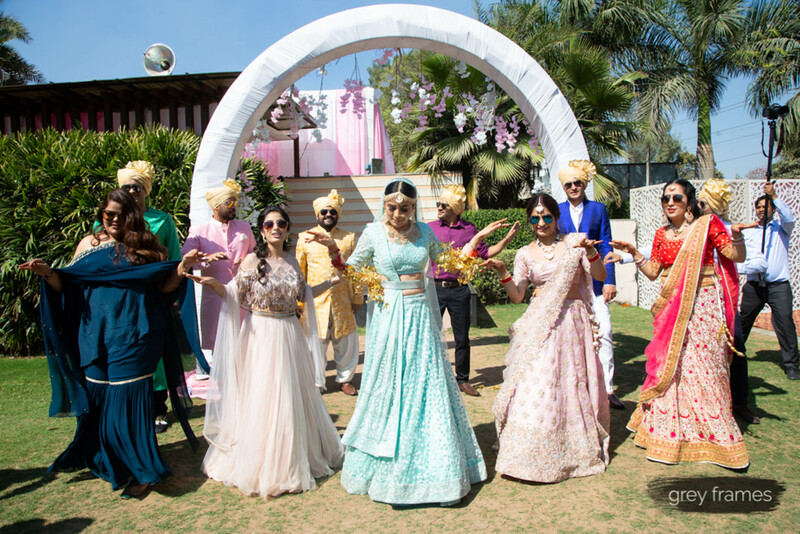 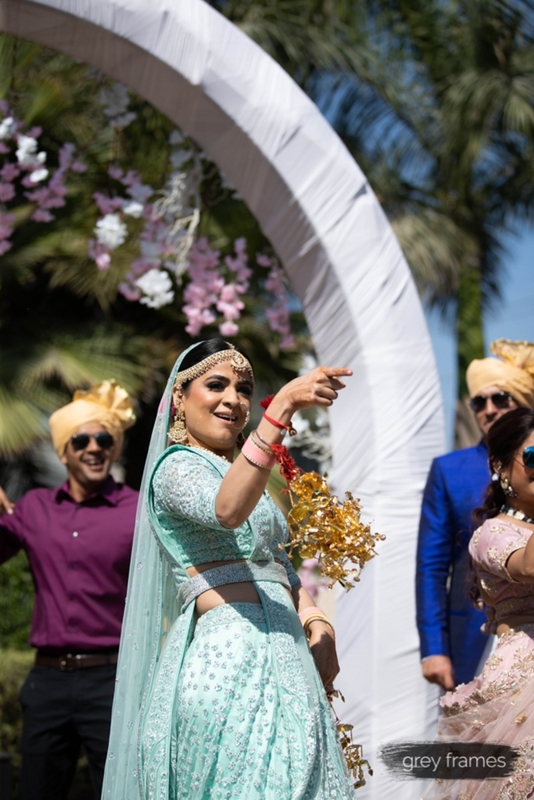 Be prepared to be swept off your feet and immerse yourself in the fun-filled, outdoor garden wedding celebration of Aakriti and Aarohan. 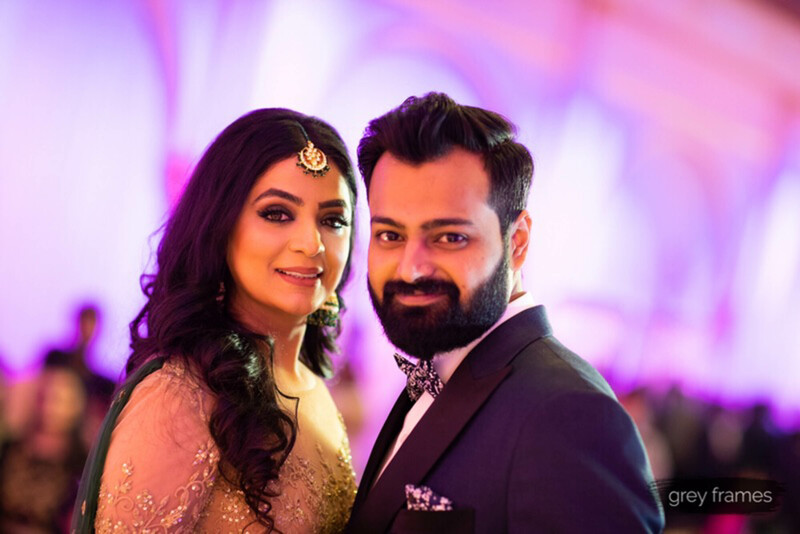 Aakriti and Aarohan’s story began a few years back when they met on an online dating website. 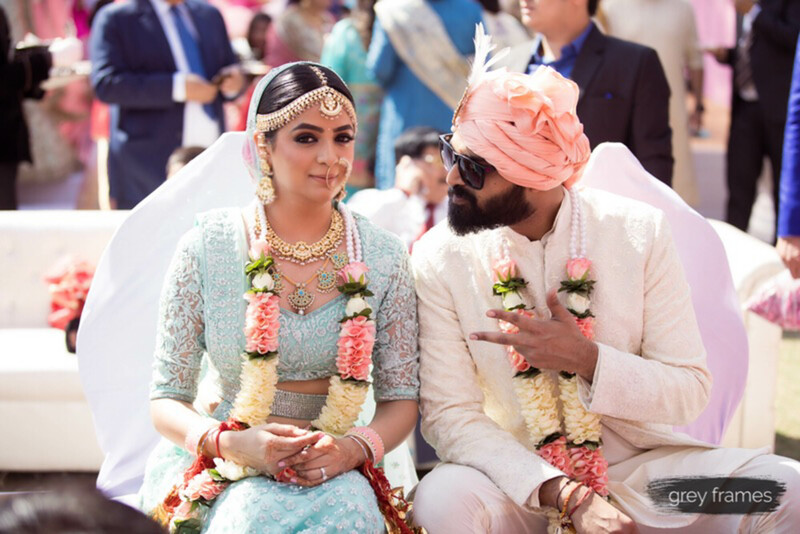 The two of them travelled all across India before sealing the deal in the heartland, last year. 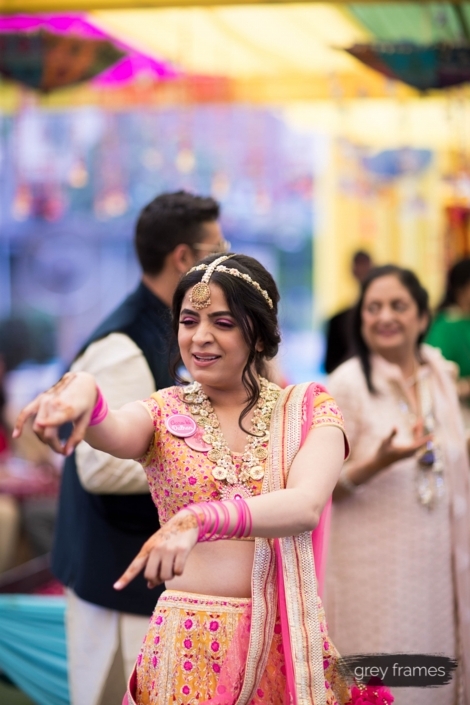 Aakriti’s profession demands her to be around almost every Indian wedding season which means that there aren’t too many free days in her schedule. Her wish was to host the wedding in March when the Winter’s are a little milder and the sun feels pleasant. 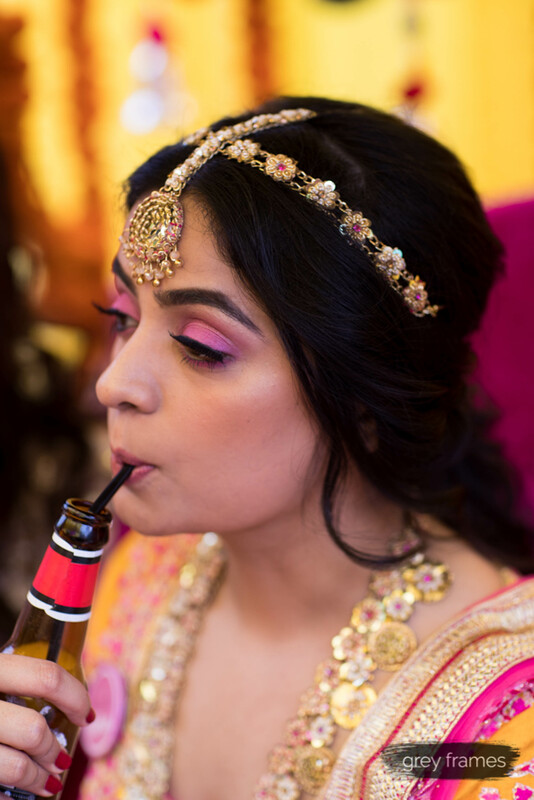 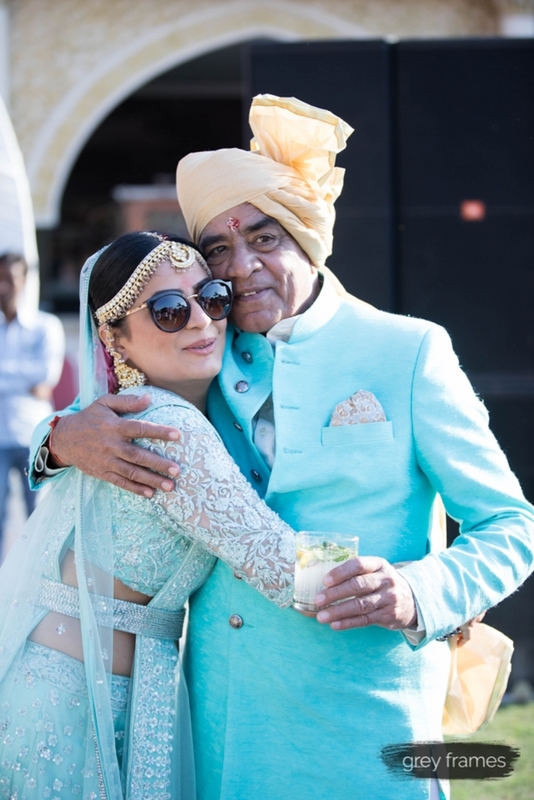 This uber cool bride is proud to state that she was ultra chilled during her wedding celebrations. 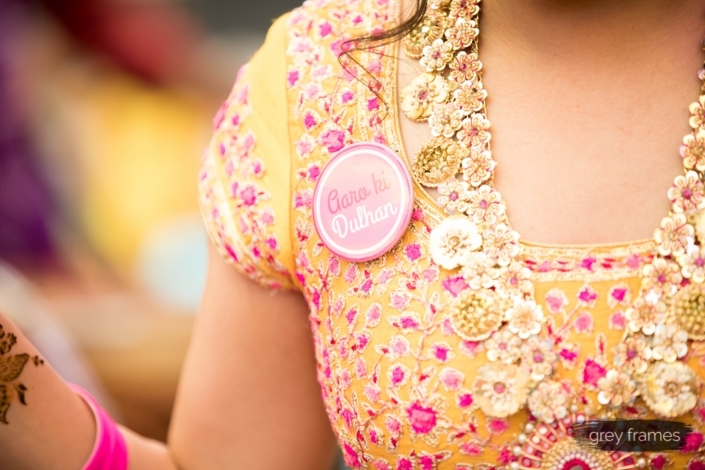 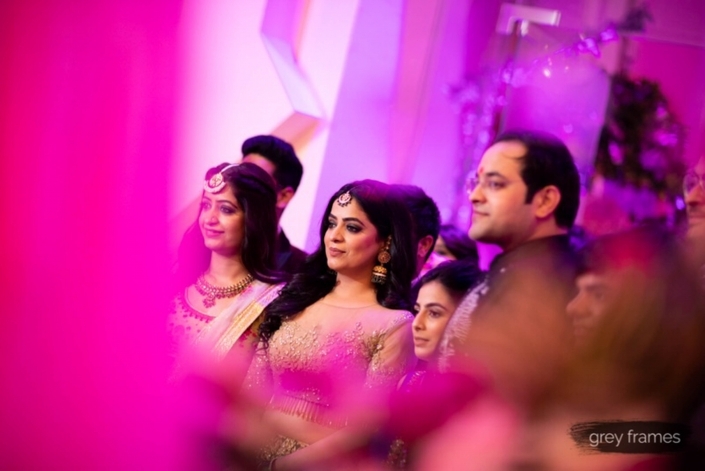 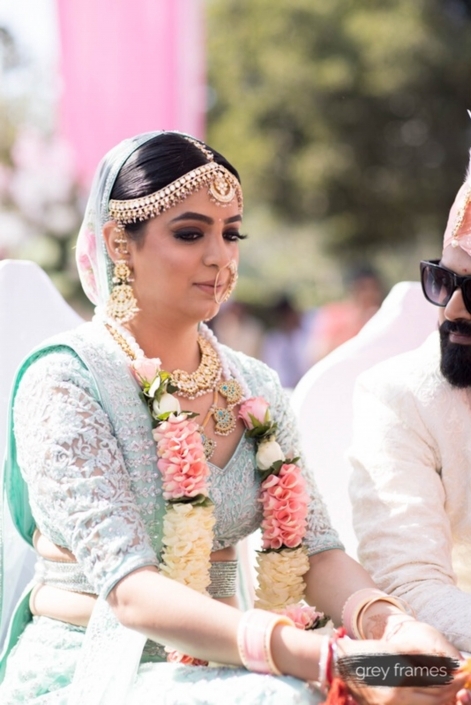 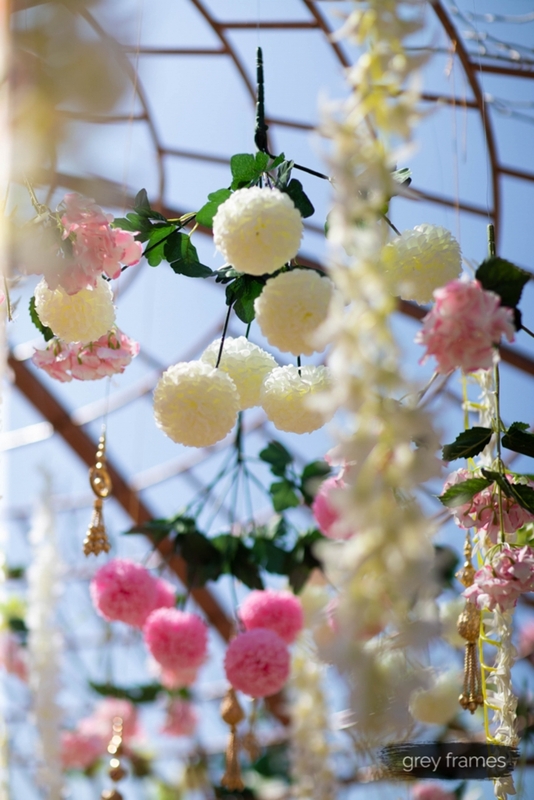 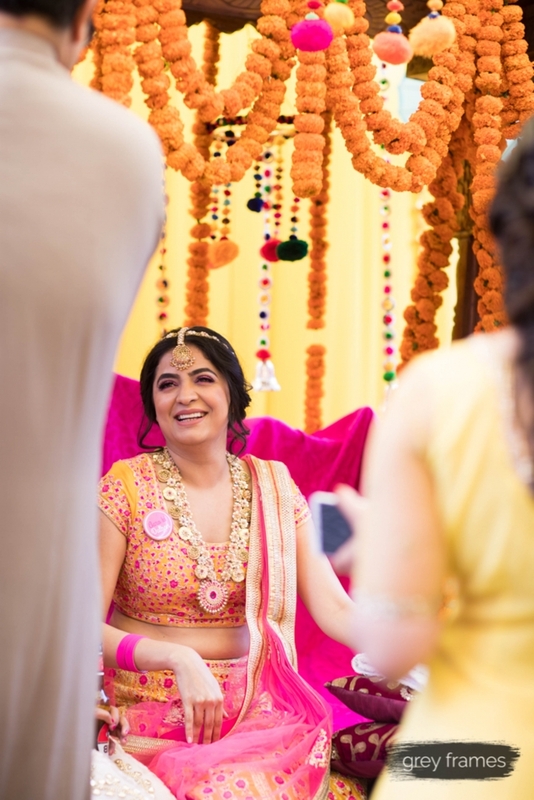 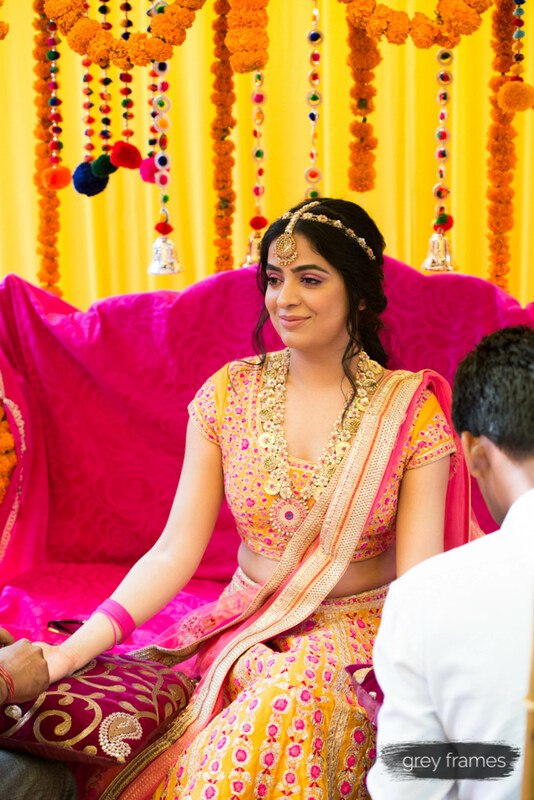 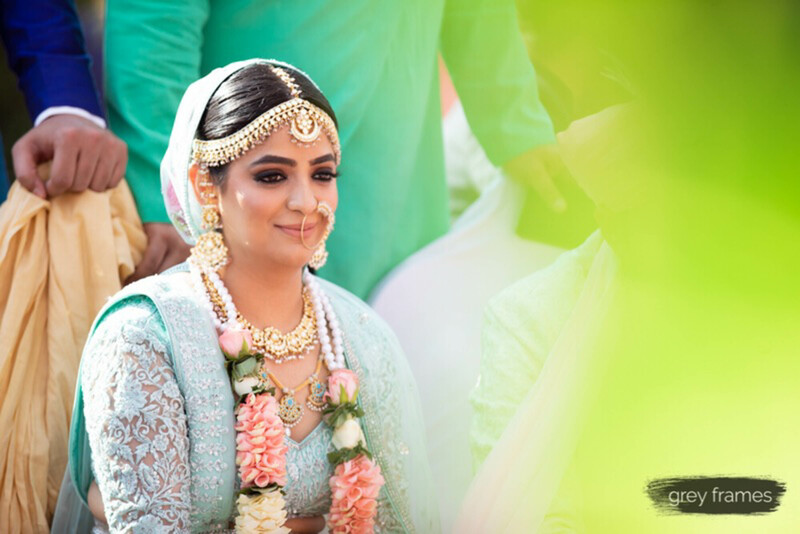 We love how translated her love for bright and beautiful and pastel colours into her mehndi, wedding and reception parties. With botanical florals and wonderfully festive pops of décor surrounding them, this couple seriously look like they had the time of their lives. 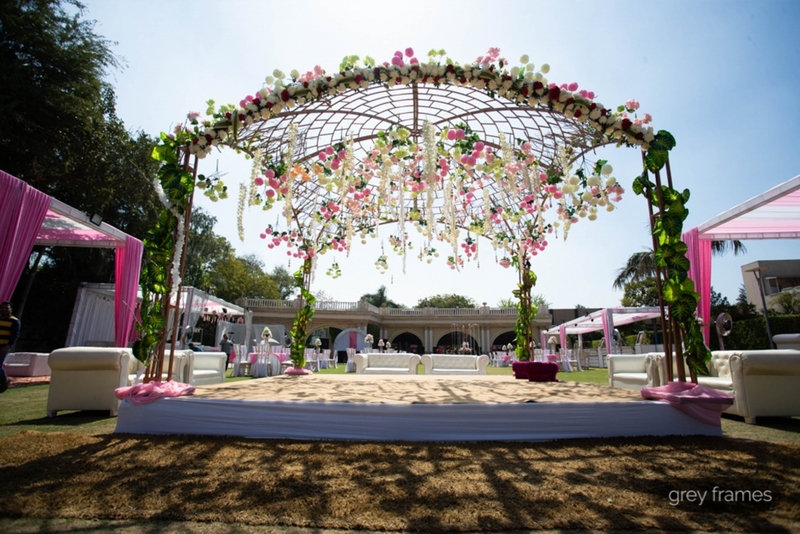 The outdoor, garden themed venue seemed apt for the style of wedding they were after. 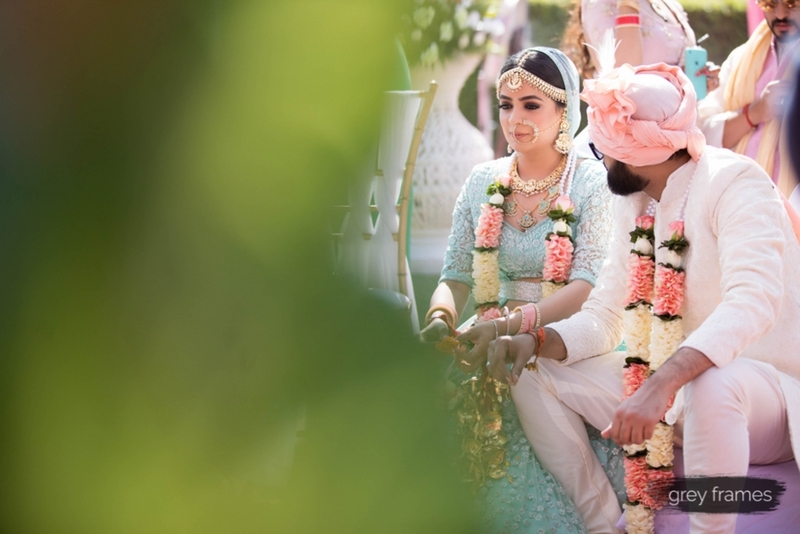 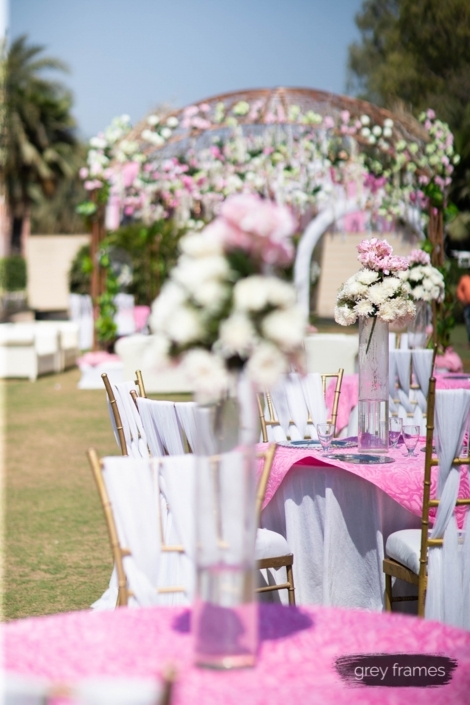 Aakriti and Aarohan had the helpful assistance of their siblings to manage everything from the venue to the décor and the hotel rooms. 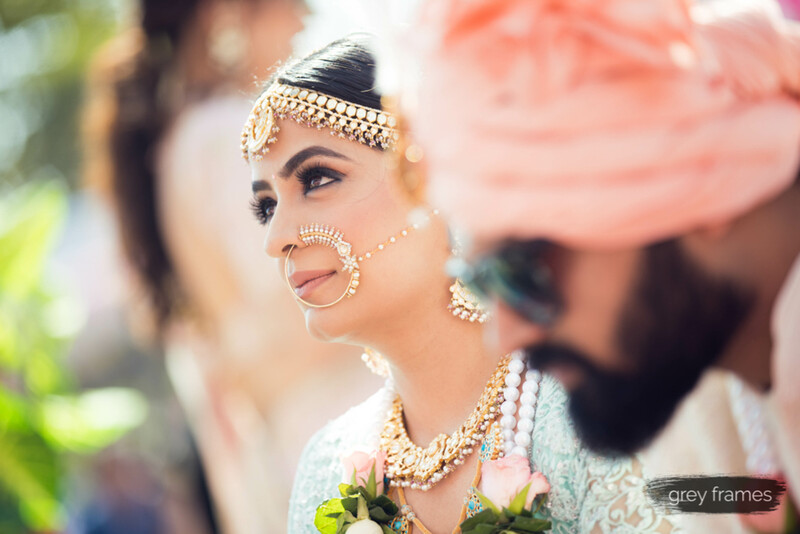 Bright and bold colour palettes have been trending for years, but this forward-thinking bride clearly took inspiration from her own makeup artistry skills. 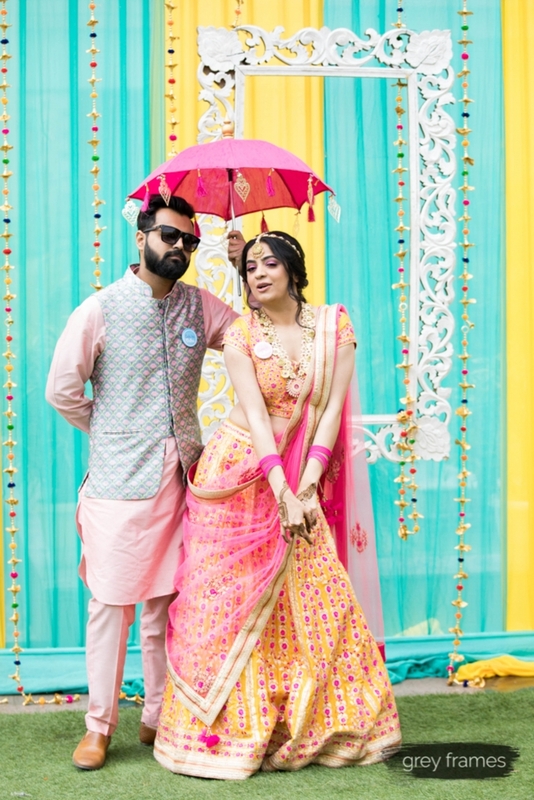 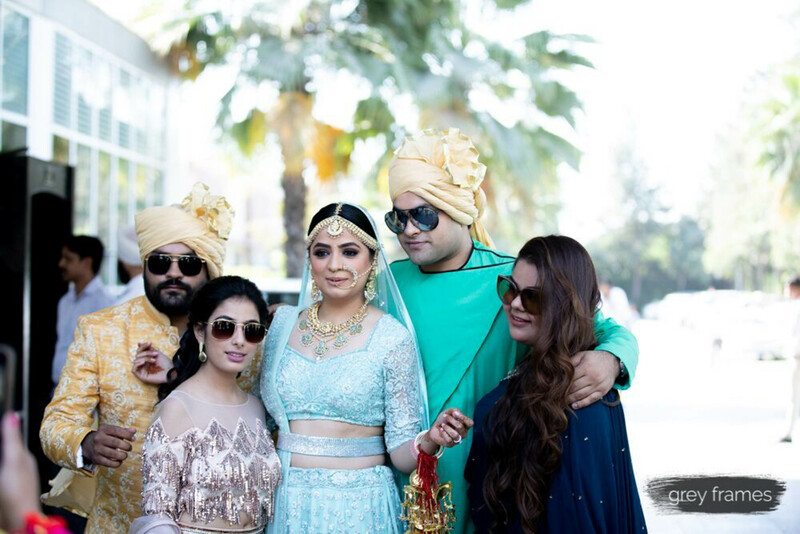 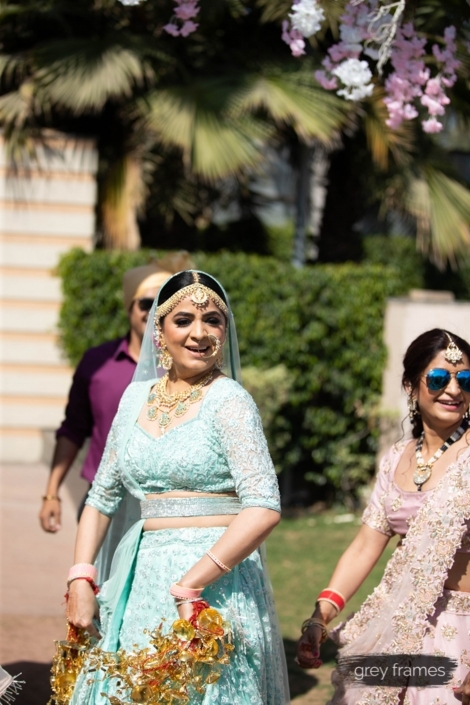 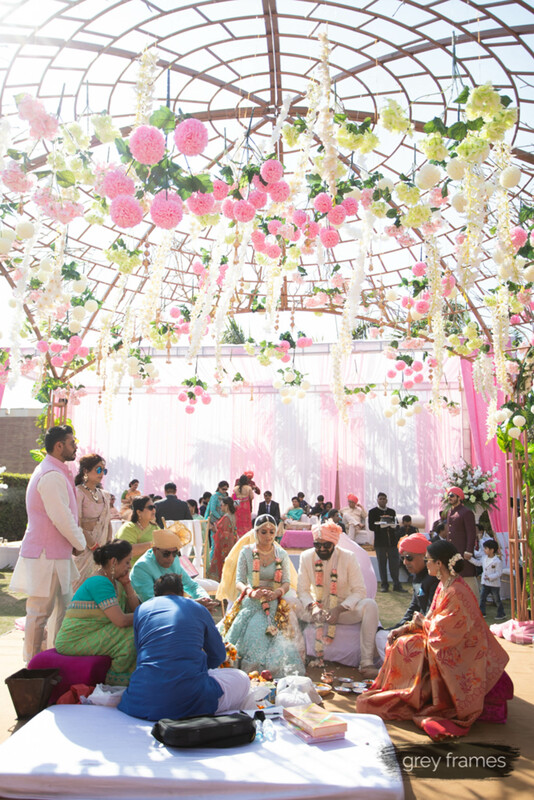 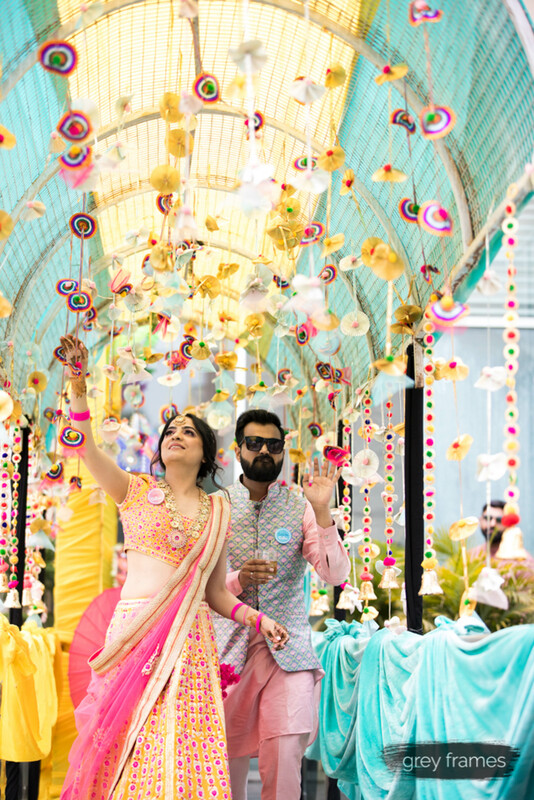 The bright, happy colours were ideal for her outdoor wedding in Delhi. 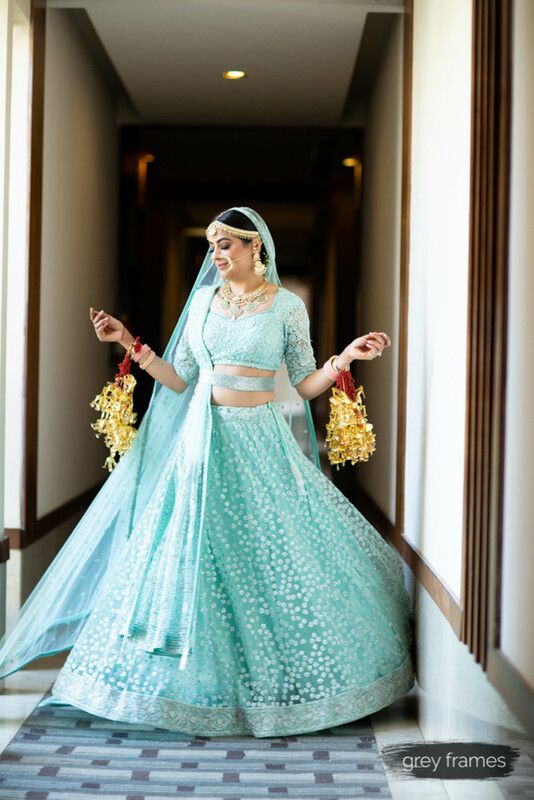 Aakriti’s own personal style, compared to most brides she does up on their wedding day, was quite paired back. 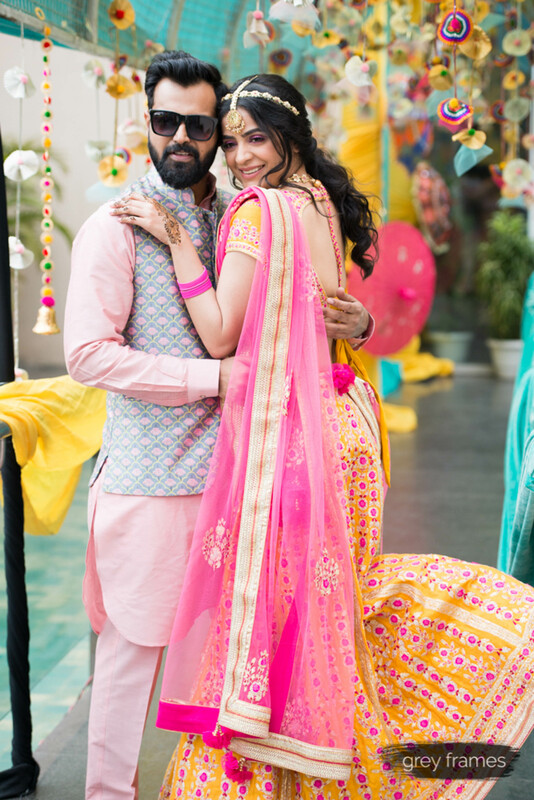 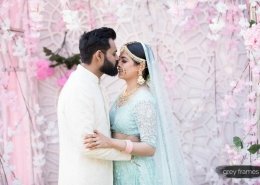 Of course for any Indian wedding, multiple outfits are required and the couple were thrilled with their choices. Bride, Aakriti was particularly fond of her lehenga outfit for the mehndi function. 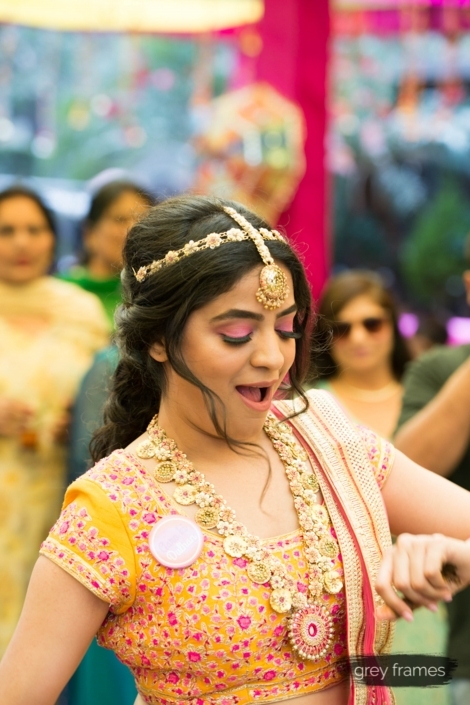 Delhi weddings are full of fun and banter and epic Bollywood dance offs. 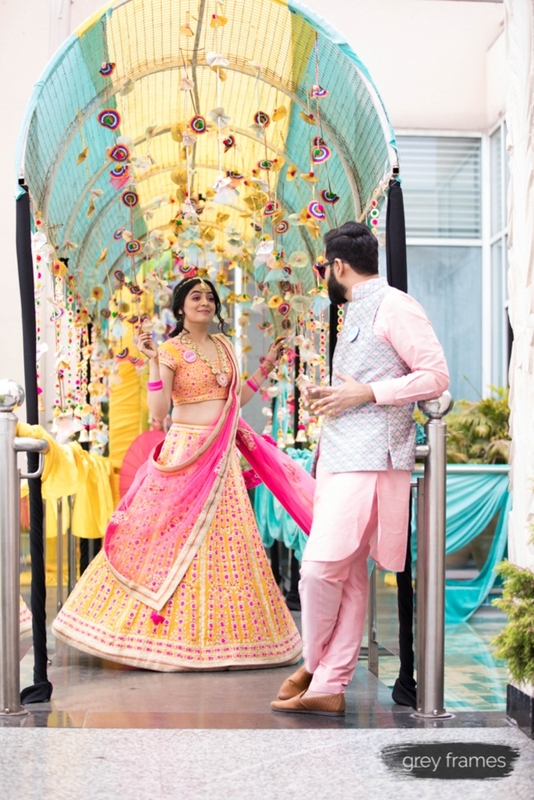 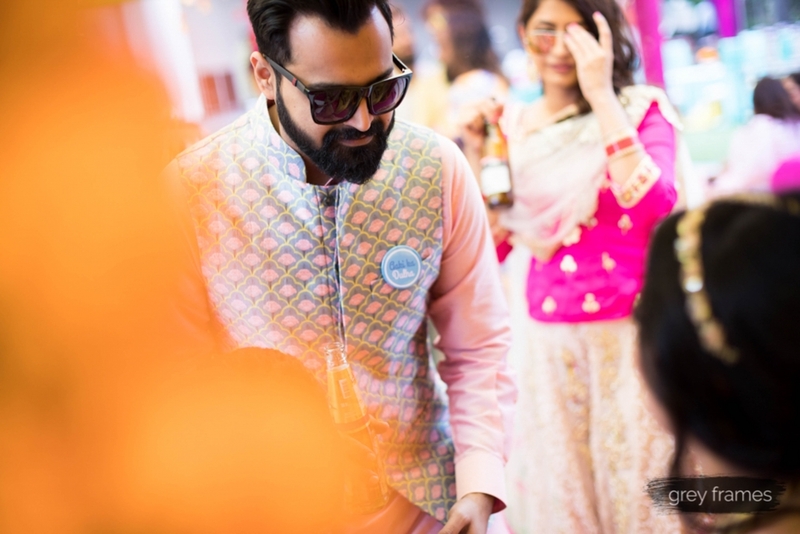 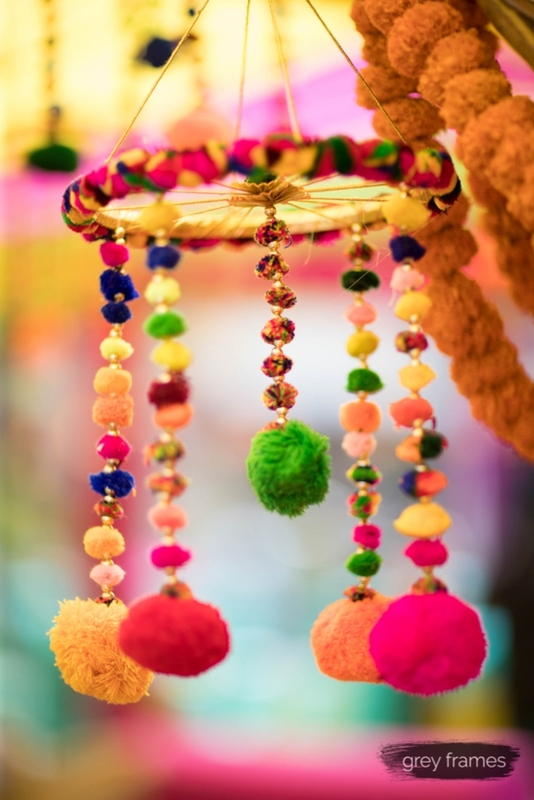 How else do you carry off a bright and beautiful Delhi wedding right? 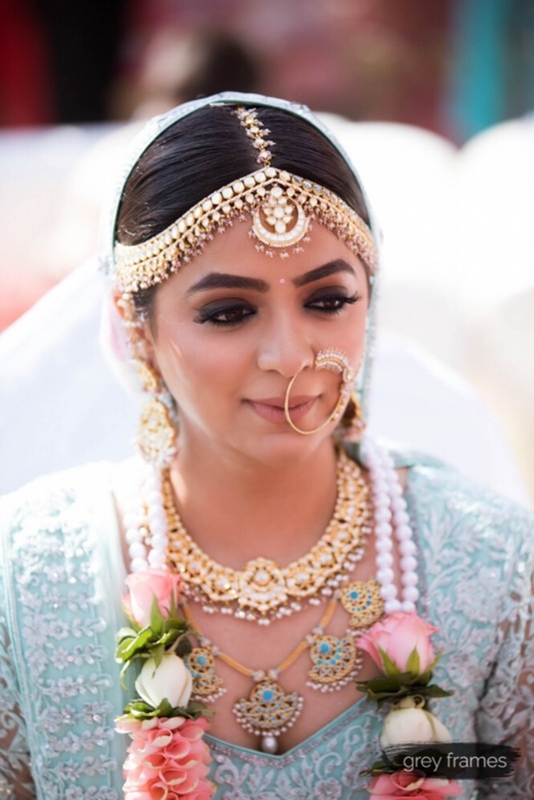 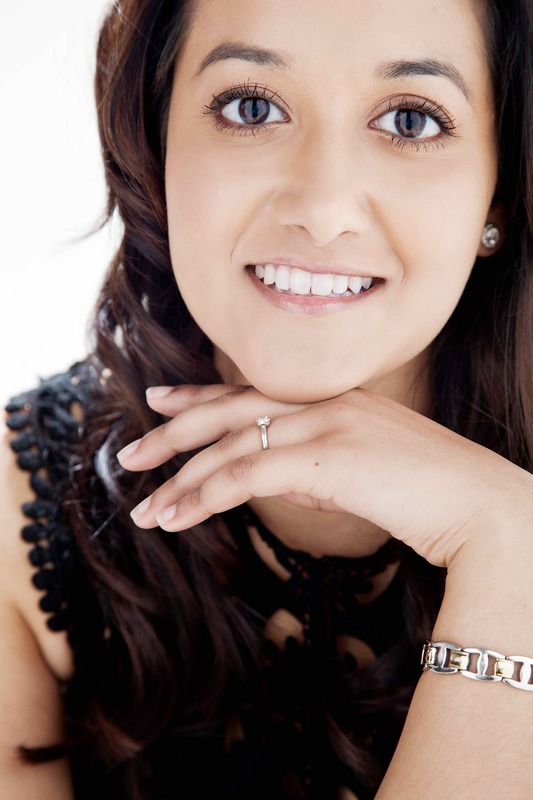 Aakriti was so grateful for her best friend and trusted makeup artist, Savleen Manchanda. 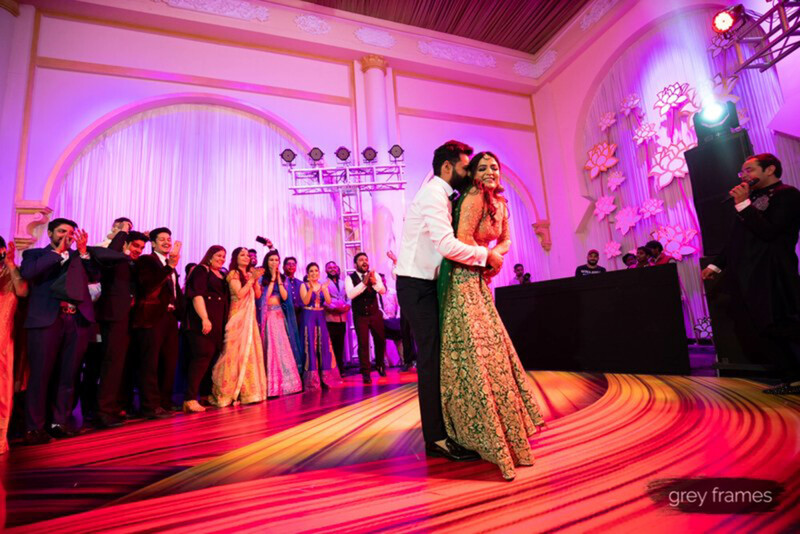 She mentioned that it was an absolute blessing to have her by her side. 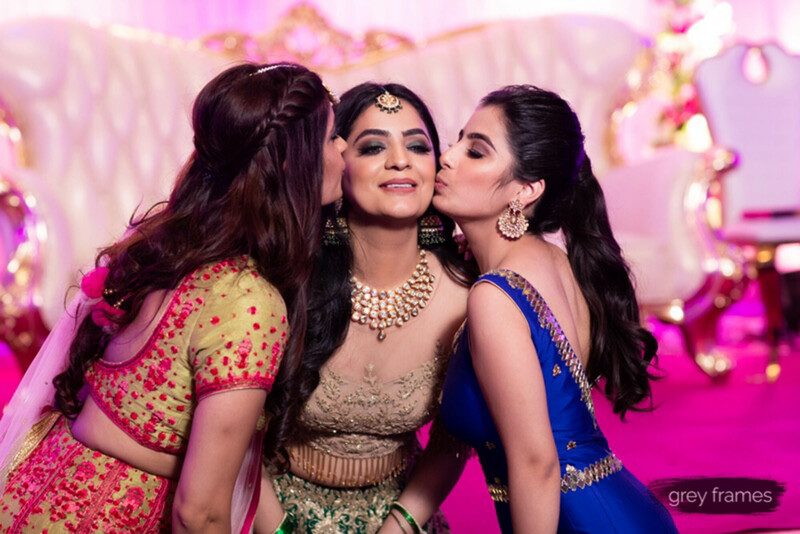 Other special acknowledgements went to her sisters and bridesmaids who were her support system throughout the entire wedding celebrations. 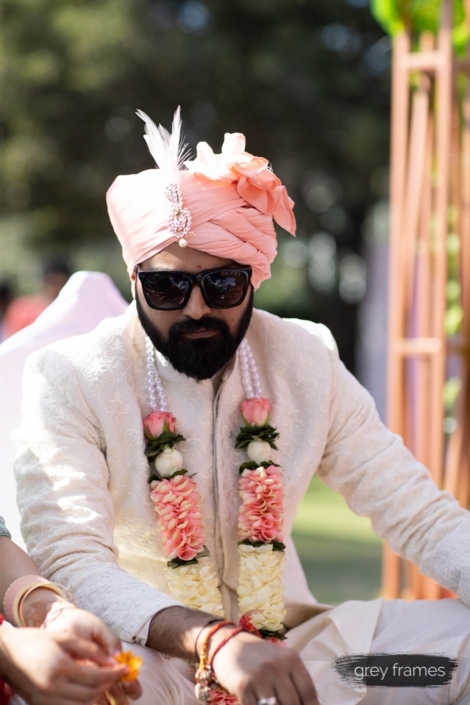 Last, but not least, her husband, Aarohan. 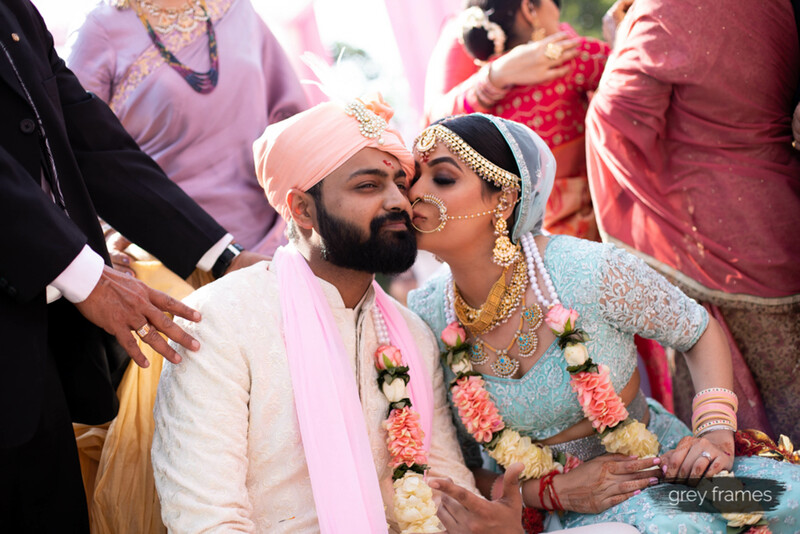 Aakriti and Aarohan share a love for travel (join the club Aakriti!) 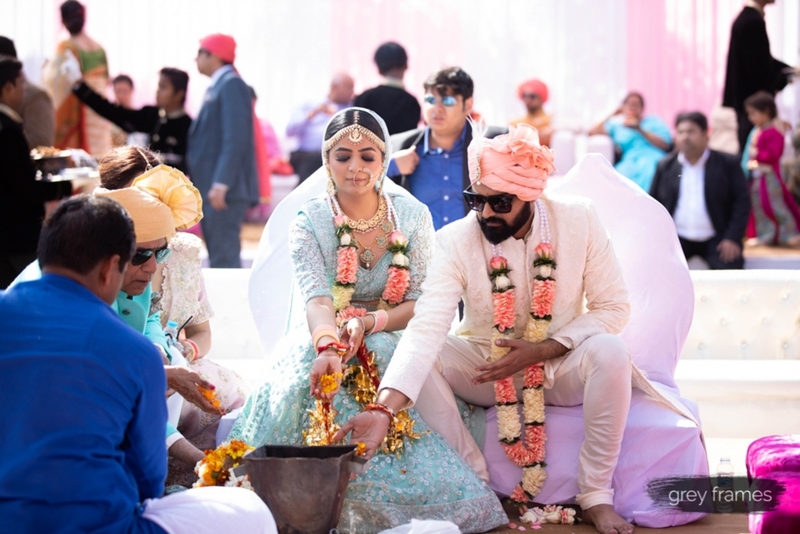 and so for this adventurous couple, it was destination Spain and Canary Islands for the honeymoon. 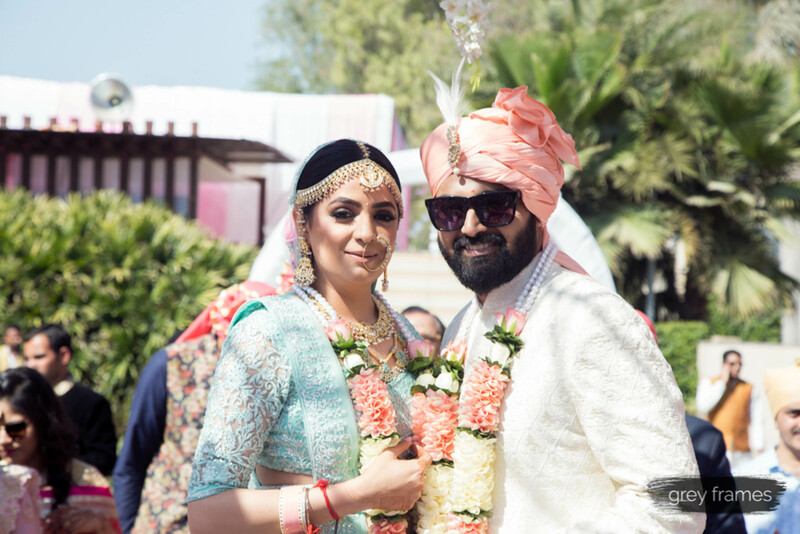 Thank you so much, Aakriti for sharing your wonderful wedding with us. 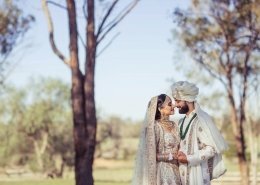 We wish you all the very best for the future and hope to see you in Australia some day!